I hope everyone had a great Christmas/New Year break. In some parts of the world it seems weather was the greatest focus, even overshadowing gifts and get-togethers. So the New Year brings with it renewed hope and a renewed focus on many things, including gifts! At this time of year?? While the big gift giving time seems to be behind us, the early part of the year also presents many gift-giving opportunities. 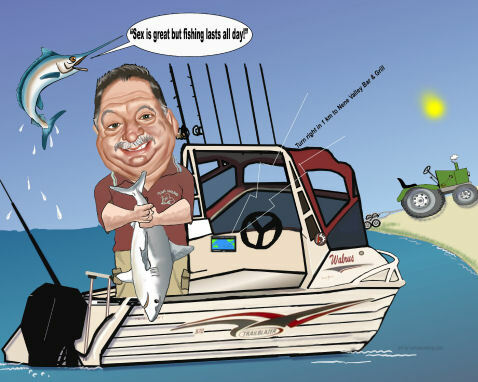 Often this come from people retiring or moving jobs – caricatures provide wonderful scope for a truly personalised gift that cannot be matched by anything else. How else can you include someone’s traits, quirks, interests and life influences all in one gift? 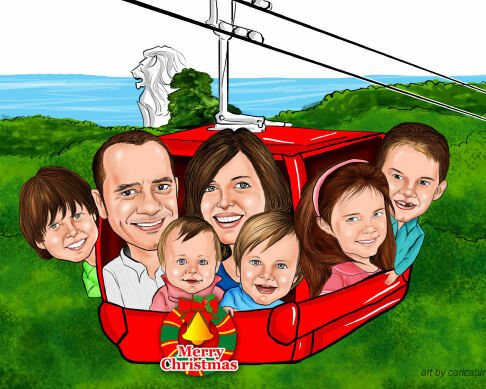 Our caricatures are total custom. We don’t start with templates, though some customers say a scene just like the one on the artist’s sample page. And why do people love getting caricatures? Interestingly it seems they like to see how other people see them. They like the bit of quirkiness, and the thought that has often gone into the extra elements to make a good picture great! Here is a small selection of some recent work that shows the awesome diversity of styles we can provide to suit everyone!